It's been over a year since I've worked on canvas. It's not that I don't like working on canvas or the normal canvas medium, the acrylics. 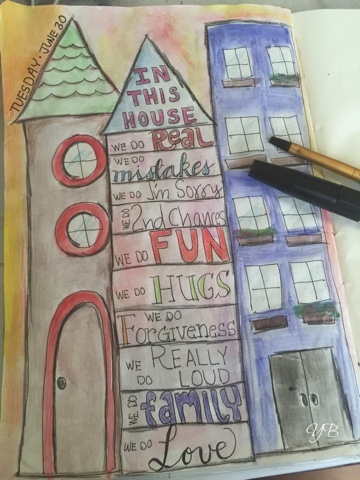 I've been enjoying the art journal format and working on looser drawing in my Fauxbonichi (my daily journal). And this piece is actually a reproduction from one of my daily pages . I have been wanting to reproduce a few pieces from my daily journal. Why? Partly because I enjoy mixed media art and the daily format usually does not allow for mixed media (and waiting for things to dry). I used acrylics, inktense blocks and pencils, tissue paper (for texture), and music sheet. I don't usually use bright colors and I'm not quite sure what made me use them, but I like it. And today is my kids' birthday, at least the first two! Yes, my son and my daughter have the same birthday and they aren't twins! 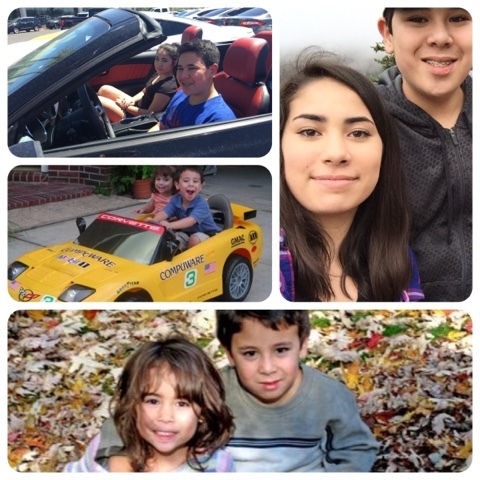 I can't believe they are 16 and 14! I hope you have a great weekend! 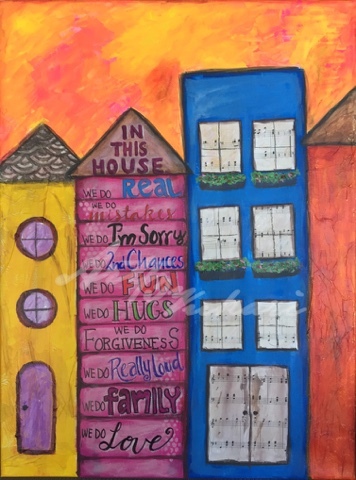 I love the "house" art- love the colors and the shapes and the words!! And isn't it freaky to see your baby behind the wheel? I am going through it myself.